The Halloween season is upon is, and that means it’s time for tricks and treats! My family and I always love finding new Halloween recipes and crafts to do and this year my daughter said she wanted to make Halloween candy! 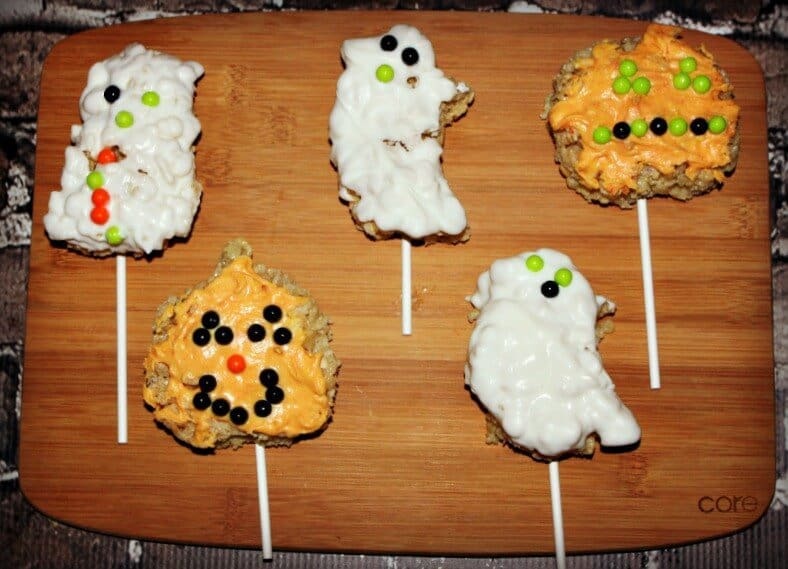 So we came up with these fun Halloween Rice Krispie Treats Pops! 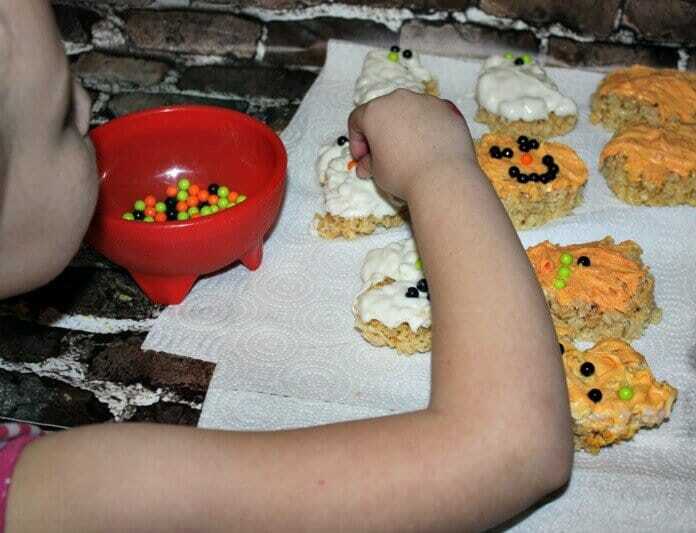 We love rice krispie treats to begin with and it was easy to add a fun Halloween flair with a few cookie cutters and melted chocolate! 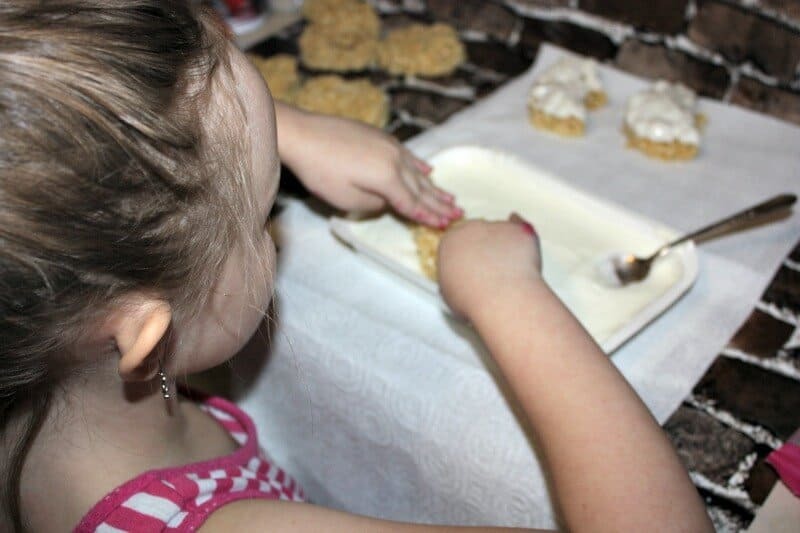 Then, it’s time to make those Rice Krispies! In a 2 quart saucepan combine for butter and marshmallows and heat on LOW until your marshmallows are melted. 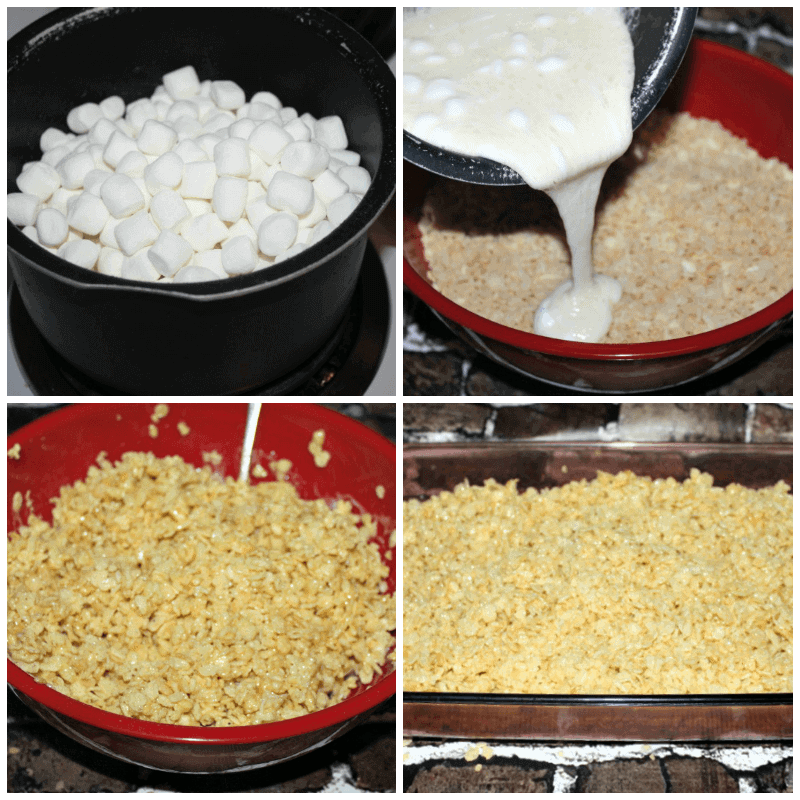 In a bowl combine your melted marshmallows with your crispy rice cereal until evenly coated. Poor your mix into a greased pan and let them sit until completely cool. After the chocolate has cooled slightly, It’s time to decorate! Go crazy with your designs, this is a fun craft! 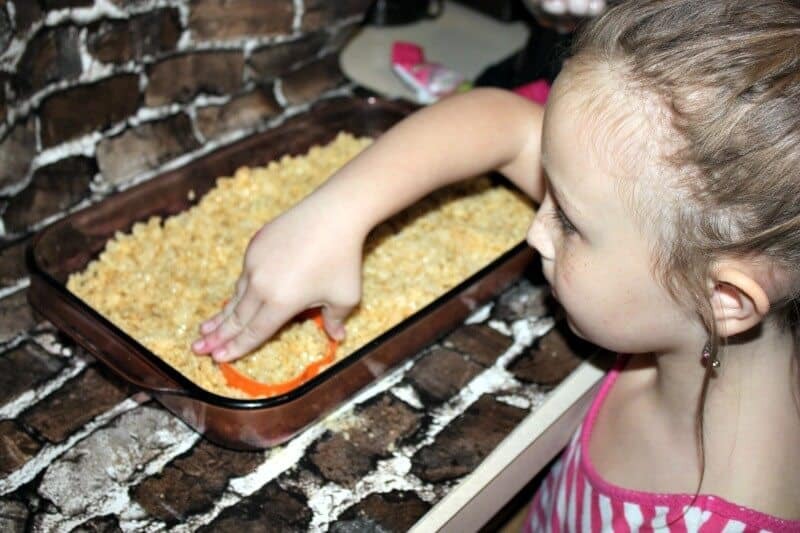 There isn’t a right or wrong way to do it, and your kids will love this part! Finally, Insert a sucker stick into each pop after the chocolate has cooled completely and enjoy! 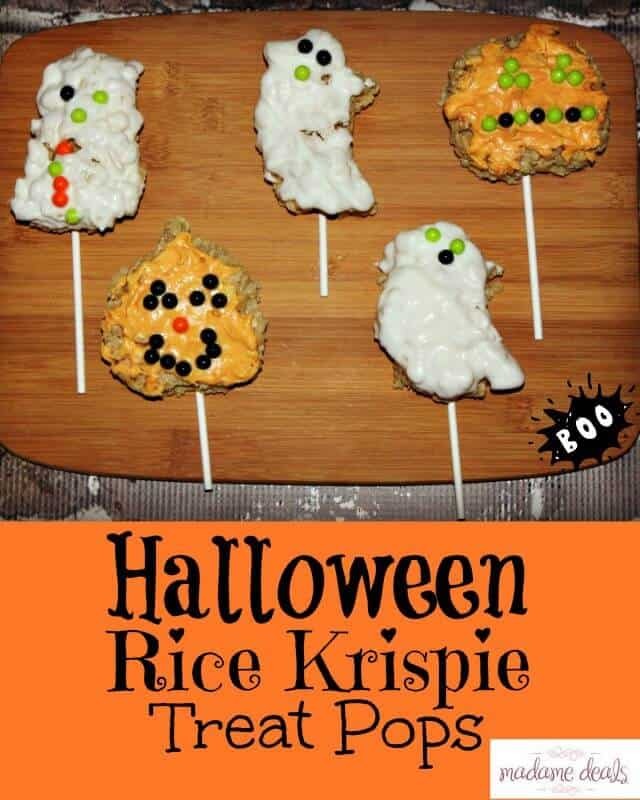 These Halloween Rice Krispie Treats Pops would be great for a school treat, a party, or just a fun Halloween snack!